You can start placing your Backorders via this page. You can use 3 of the backordering tiers, based upon how early you want to be able to backorder your domain. Standard Backorder: Our Regular, $25 Backorder to catch domains dropping only Today/Tomorrow with standard catching power priority. Premium Backorder: Our Most Popular Tier, Premium $50 Backorder to catch domains dropping in next 25 days, with enhanced catching power priority. Ultimate Backorder: Our Ultimate, $250 Backorder to catch any domains dropping in next 30 days, with our best catching power priority. Please Note that Our first-come, first serve model is still the core of our ordering process. Any domain, ordered in any category or tier, is immediately blocked and becomes unavailable to be ordered by anyone else. In short: If you absolutely want to order the domain before anyone else, use the Ultimate backorder. If nobody orders it in Ultimate, you can order it in Premium. If nobody orders it in Ultimate and Premium, you can order it on last day under standard. Please note that no promo or coupon codes will be applicable on Ultimate backorder. Why this multi-tier approach? Since we serve on first come first serve only, which means that any domain ordered in any category, cannot be ordered again by any other customer – placing orders first and before others is the most crucial factor in securing your domain via our website. So the users who feel the domain is worth $250 for them, they get the earliest access to order it as soon as the domain becomes available to be backordered. The users who feel that the domain worth $50, they wait for the Premium backorder to open. 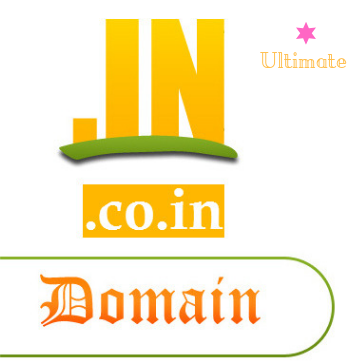 And the users who feel that the domain is worth $25, they place the order of it on the last day. On a good note, You don’t need to worry even if you don’t know the dropping date or the appropriate tier. You can search the domain under any product tier and the system will tell you it’s accurate dropping date, along with the status of it being orderable under which tier. Please Submit a valid .in/co.in domain without spaces.